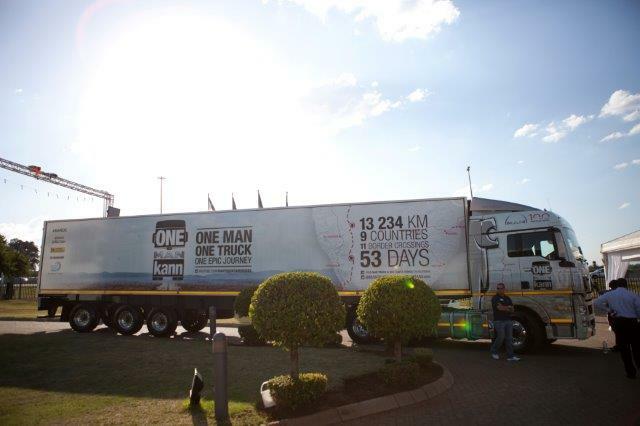 Having travelled over 13 200 kilometres through nine African countries, with 11 border crossings in 53 days, the ONE MAN kann Journey culminated its odyssey at MAN Truck & Bus Centurion on Friday 30 October, effectively redefining the way new trucks will be marketed on the continent in future. 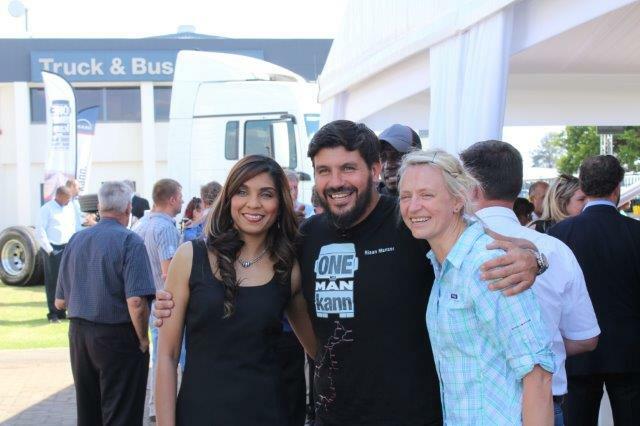 Designed to showcase both the new flagship Euro 5 MAN TGX 26.540 6x4 longhaul trucktractor and MAN’s growing dealer network in subequatorial Africa, the ONE MAN kann Journey leveraged the power of social networking platforms like Facebook, YouTube and Twitter, attracting thousands of followers across the subcontinent and in Europe who supported the driver team of celebrity adventurer, Riaan Manser and ace MANLINE crossborder driver, Nduna Chari, by viewing the weekly YouTube video episodes of the Journey and posting comments on the respective platforms. 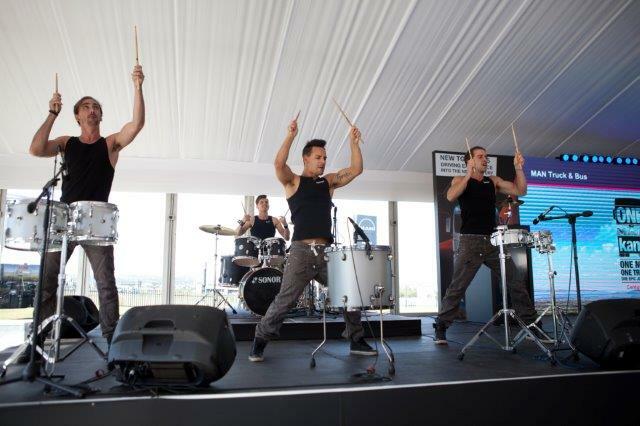 Addressing a large gathering, which included MAN customers, media representatives and MAN management board members from Germany, Managing Director of MAN Truck & Bus South Africa, Geoff du Plessis, stated: “We passed through the southern tip of Africa earlier this week; not to collect the Currie Cup but to share the adventures of the Journey with our Capebased customers. 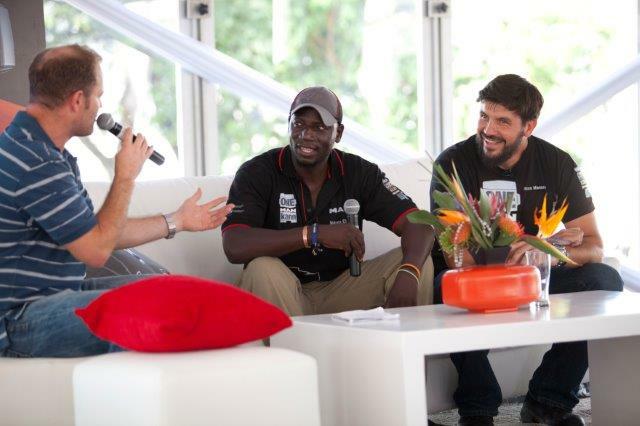 It has been a real treat, and the trip up the N1, passing our dealers, was a fitting final leg of the Journey. 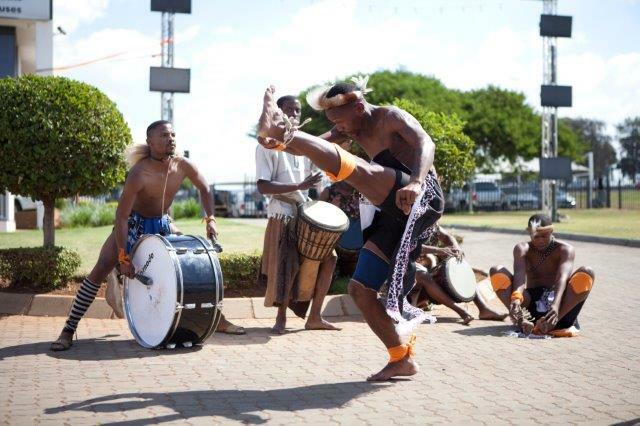 “The ONE MAN kann Journey has also been the perfect vehicle for MAN’s journey in South Africa, which has been ongoing for just over 53 years, and an ideal rolling celebration of MAN’s 100 years in the commercial vehicle manufacturing business. MAN’s global Head of Marketing, Björn Loose, emphasised the growing importance of digital communications in commercial vehicle marketing: “The ubiquitous use of mobile devices like tablets and smart phones to engage with social media platforms like Facebook and Twitter has led to the sharing of both good and bad product experiences. This is a rapidly growing phenomenon and the fact that some 78% of consumers around the world use the internet to inform their purchasing decisions makes it vital for MAN to be part of the online community. “MAN’s digitisation strategy is based on four pillars: ‘Connected Truck’ using MAN TeleMatics; ‘Connected Communication’ using cellular devices and the internet; ‘Connected Data’ using cloud servers; and ‘Connected Retail’ where interactive sales tools are used by our representatives to enhance the customer experience."